If you’re entering Hong Kong with e-cigarettes containing nicotine, you’ll need a medical prescription indicating that they’re for personal use. If the e-cigarette is nicotine-free and for personal use, no medical prescription is needed. So travelers, be aware: you should either show proof that the e-cigarette is without nicotine, or show prescription. Nicotine is considered a Part 1 poison in Hong Kong, and the possession of a nicotine e-cigarette without a prescription faces a penalty up to $100,000 fine and 2 years’ imprisonment. This order follows recent efforts by officials, headed by Secretary for Food and Health Professor Sophia Chan, to step up on e-cigarette control and its possible carcinogens. Take note that in Hong Kong, cigarette smoking, including e-cigarettes, is banned in no smoking areas, including all indoor public areas, and some outdoor areas like school campuses and parks. Other entry requirements remain unchanged; US citizens can visit Hong Kong for up to 6 months without a visa. If you visit mainland China via Hong Kong, you must obtain a Chinese visa before arrival at the Chinese border. Chinese populations all over the world will be celebrating lunar New Year’s Festival, from this Saturday, 28 January, and continuing for two weeks. Dozens of countries, and countless Chinese communities across the globe, come together to lion-dance, explode fireworks, and be merry. On the 15th day of the New Year—this year on February 11—is the pinnacle of festivities, the beautiful Lantern Festival. Lucky for you if you’re in China, Hong Kong, Taiwan, Singapore, Indonesia, Thailand, or Vietnam during this fortnight! According to the Chinese zodiac, it’s the Year of the Rooster—so don’t be surprised if you see images of brilliant yellow and red roosters all over. Traditionally, families get together and munch on specially prepared dumplings. They clean the house, sweeping away ill fortune and making way for incoming good luck. 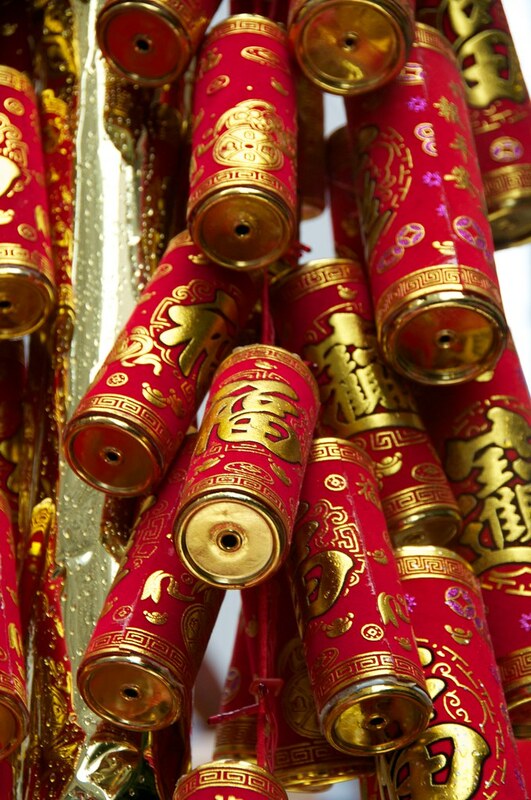 Relatives exchange red paper arts, light firecrackers and gift money to children. You may catch a dragon dance on the street or a martial arts performance. It’s a great time to visit China and its neighbors! Interested in a Vacation to China or Taiwan but not sure where to start? Give our agents a ring! 503-224-0180 or email info@wittravel.com. Christmas is a widespread holiday, celebrated in countries all over the world. Did you know that it’s a popular holiday even in the Far East? Though many people don’t associate Christmas with Asia, this holiday is celebrated all the way from Japan to the Philippines. Depending on where you go, it can be a religious holiday or a secular time with family and friends. In Japan, Christmas is widely popular as a holiday for friends or lovers. Cities decorate their streets and halls with Christmas trees and illuminations, and pipe out Beethoven’s 9th Symphony on the radio. Japanese people may eat Christmas cake, a sponge cake with whipped cream and fruit toppings. December 25 is a romantic holiday, with many Japanese preferring to spend a romantic day with their significant other. In Hong Kong, locals go all out with a festive Christmas. December 25 is an official holiday in Hong Kong, and the city dresses up in massive Christmas Trees, German-style Christmas markets and beautiful light shows. The ballet does a yearly Nutcracker that is a delight. You can get your photo with Santa, known in Hong Kong as Lan Khoong or Dun Che Lao Ren. 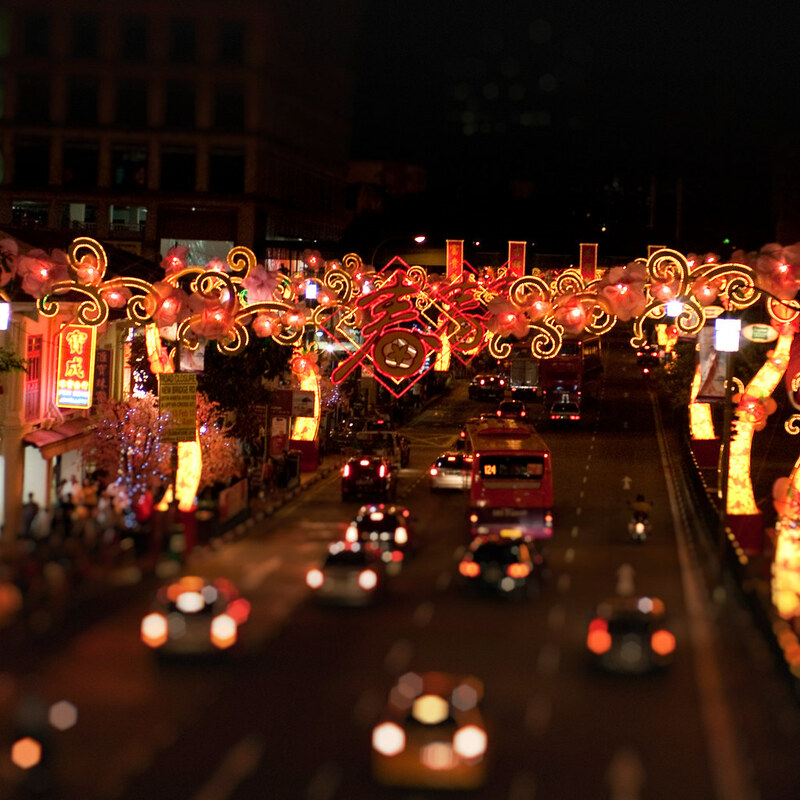 In China, the New Year usually overshadows Christmas as the most important holiday. Still, many Chinese people like to get into the holiday spirit just for fun. Children can get their photos with Santa (known as “聖誕老人 shèngdànlǎorén”) at department stores, and people give out cellophane-wrapped Christmas apples as gifts. In Korea, where 30% of the population is Christian, Christmas is a holiday for families and lovers. This official official holiday is a time for families to get together and eat traditional dishes like barbecued beef, kimchi and rice cake soup. Santa Haraboji is a traditionally dressed grandfather with a top hat (gat) and blue robe, who hands out gifts to children. Like Japan, it can also double as a romantic night with your significant other! In the Philippines, thanks to Spanish influence, Christmas is a huge holiday. Filipinos decorate their homes with candles, lights and wreaths, and dress up a bamboo pole with a lighted star. Christmas Eve is a big deal—people don’t generally sleep this night, instead they hold the Feast of Noche Buena, which begins after midnight. The dinner consists of delicious oxtail stew, stuffed chicken, pudding and sticky rice. Children line up in front of an elder family member, who passes out coins as gifts. Vietnam also gets into the secular spirit with decorations and light shows all over Ho Chi Minh City. People throw confetti and eat out in fancy restaurants. Next Week is Christmas! Where are you spending the holidays? Let us know in the comments! After Beijing and Shanghai, Xi’an is the top destination for travelers in China. 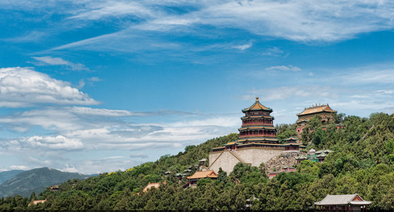 No trip to the countryside would be complete without a few days in China’s former capital. Far from a shell of its former glory, Xi’an draws thousands of travelers every year to get a glimpse of its amazing historical and archaeological attractions. Xi’an served as the home for several dynasties in the past millennia, including the Zhou, Qin, Han, Sui and T’ang Dynasties. So it’s no surprise that the vibe there is more authentic and culturally vibrant than the bustling metropolises of the coast. WIT Agent Barb with the Terracotta Army! No stop in Xi’an would be complete without a visit to the Terracotta Army. Buried for nearly 2,000 years, the army is a collection of 8,000+ of life-sized clay figures. The army of chariots, warriors, horses, acrobats and more were built and buried to safeguard Qin Emperor Shihuang (260-210 b.c.e.) on his journey in the afterlife. It was rediscovered in 1974 and has since been dubbed a UNESCO World Cultural Heritage Site. The Beiyuanmen Muslim market is an impressive expanse of 500 meters of succulent snacks and souvenirs. The street, located in the muslim district, has a long history as one of the main starting points of the Silk Road. Here Arab and Persian merchants settled and married local girls. Their descendants, the Hui people, still sell their wares along this street. But the best investment by far is the hot and fried treats sold on the street by Hui vendors. Stroll down the long promenade and try local favorites like lamb skewers, gravy dumplings and mutton-soaked flat bread. If you’re lucky enough to be in Xi’an from April to October, be sure to catch a performance of the Song of Everlasting Sorrow. You can buy tickets at the Xi’an railway station and ride a free shuttle bus from there to Mt. Lishan. The historical drama is performed twice in the evening at Huaqing Hot Springs, just below the mountain. Marvel as the performers erupt in an impressive presentation of song, dance, music, lights and and costume, all set against the background of freshwater ponds, willow trees and pavilions. The poem tells the tragic love story between T’ang Emperor Xuanzong (c.e. 685-782) and his beloved concubine Yang Yuhuan (which, like most such stories, ends horribly for our protagonists). Return to the beautiful trees and dramatic cliffs of rural China by hopping on a train to Mt. Hua. The mountain stands about 75 miles east of Xi’an and 2 kilometers high! One of Taoism’s Five Sacred Mountains, Mt. Hua has five stunning peaks and one of the most dangerous hiking trails in the world—thanks to its steep pathways and narrow passes. The risk is doubled in the summertime due to the sheer amount of tourists trying to ascend the mountain all at the same time. But never fear! Proceed with caution, take a lot of water and good shoes—the view is, to understate, worth it. WIT Agents Barb and Pam have recently been to China with Alexander & Roberts and Viking River Cruises. Read more about their trips on our Destinations: China page. Call us up for some firsthand feedback and other travel tips to China, 503-224-0180 or email info@wittravel.com. Wild China is an exceptional travel company that offers amazing trips of a lifetime in China and southeast Asia. Over the years, Wild China has received numerous awards, including NatGeo’s 50 Tours of a Lifetime and Travel + Leisure’s Trips of a Lifetime. It has also been named one of NatGeo’s Best Adventure Travel Companies (On Earth). Wild China was conceived by founder and Yunnan local Mei Zhang during a 56km pilgrimage in the Himalayas. During her grueling hike, she had no guide, lodgings or transport. Her challenges inspired her to pioneer a service for other travelers to enjoy China’s stunning cultural and natural landmarks with expertise and comfort. For those exploring China for the first time, their escorted itineraries take guests to Beijing, Shanghai, Xian, and other familiar marks on the map. Experience China with an experience team of travel professionals, with just your family or in a small group of 12 like-minded individuals. For seasoned travelers, Wild China offers personalized adventures in unique locations, such as the rugged Xinjiang Province or the Tibetan Plateau. Their team of expert adventurers will take you on unforgettable journey through the rich landscape that is East Asia. Trips are offered as private tours (fully flexible) or small group tours (with scheduled departures). They also lead education tours designed to empower young people to make a difference in local communities. Call your agent at Wittravel to learn more about these awesome trips—503.224.0180 or email info@wittravel.com. 新年快乐! Xin Nian Kuai Le! Happy Chinese New Year from Willamette Intl Travel! January 31 marks the beginning of the Year of the Horse! The official Chinese spring festival launches off with the New Year and ends on the Lantern Festival, February 14! The Year of the Horse is traditionally forecast to be the year of adventure and romance! Where are YOU going to travel to in 2014? Share with us in the comments! Planning a trip to China? WIT Agents Barb and Pam have both traveled on land and river through China in the past two years—highlights incluedd the Yangtze Cruise, Suzhou, Shanghai, Xi’an and the Forbidden City in Beijing! We can recommend options for independent travel, or discuss the best guides for an escorted tour! 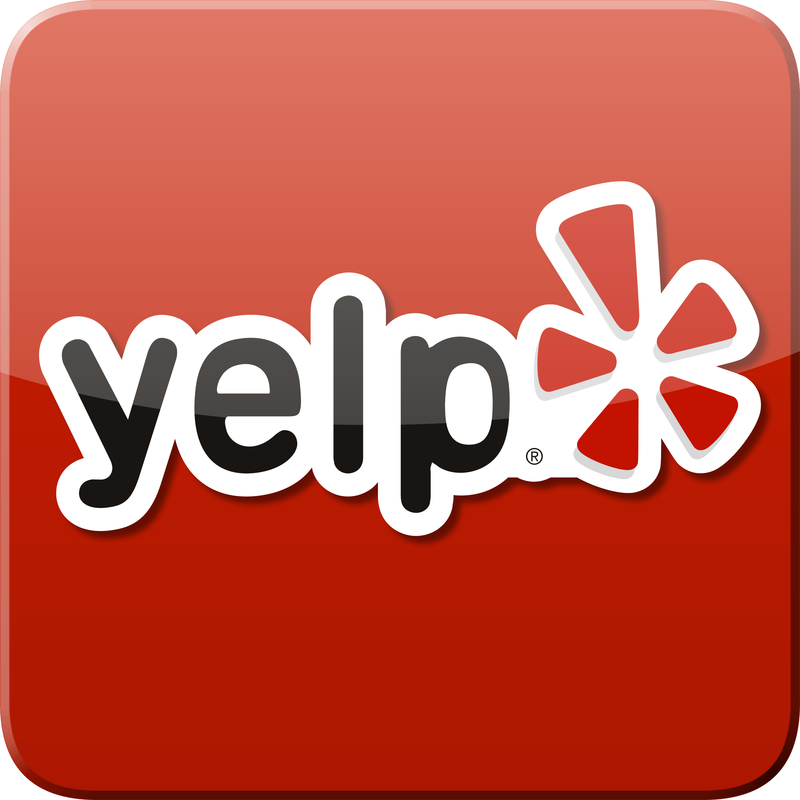 Call 503-224-0180 today to speak with more of our specialists. In Portland, Oregon? Ring in the New Year at Lan Su Chinese Garden downtown. This weekend there are lion dances, calligraphy demonstrations, shaolin demonstrations and opportunities to make your own new year card! Here’s to another Great Year of Adventure! Filed under Asia, China, Where in the World is the WIT Agent?